President Rivlin first addresses early elections saying he does not know what clarification from President PM referred to yesterday. President Reuven Rivlin today addressed the coalition's decision to advance elections for the 21st Knesset. 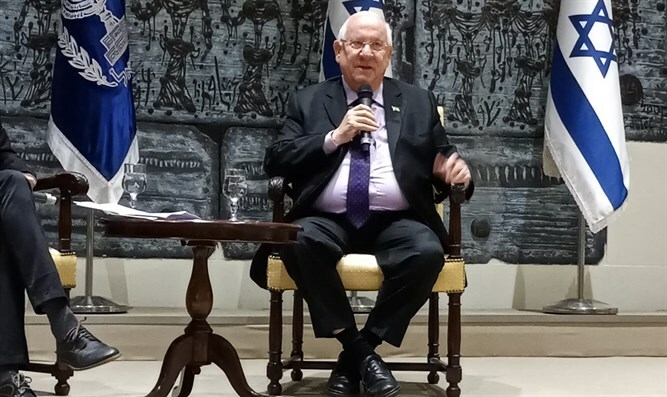 "We must always remember the guiding principles of the founding fathers, and understand that even when we work in a complex system, we must remember that the State is more important than any one of us," Rivlin said at a Gesher Community event to strengthen ties between Israel and the Diaspora. The leader of the event, Asaf Lieberman, asked Rivlin: "The Prime Minister says there was a clarification, from here, from this house, not to use your power for evil; what was this clarification?" Rivlin replied to the question: "I imagine that if the Prime Minister said something, he knows what he's talking about. I have no idea why it was necessary to clarify and clarify what." "We have formulated our position, and we have positions together with the entire people of Israel, solid positions and I don't know what the question was, or what the response was, so of course I don't touch on this issue," added Rivlin.